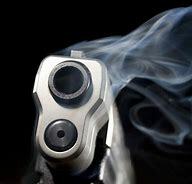 A HARARE man yesterday morning shot and killed his wife and brother-in-law at their Gletwin home following a protracted marital dispute. Petros Pomborokani (50), a former Ministry of Health and Child Care official, has since gone into hiding. He shot his wife, Olivia Zenda (42), and brother-in-law, Robert Zenda (49), in front of his three children, mother-in-law, a relative and a housemaid, with a CZ pistol at around 7am. The couple had been married for 20 years and has four children aged 19, 12, 10 and eight. Police recovered the pistol’s two loaded magazines at the scene. Investigations are underway. The matter is being handled by CID Homicide. National police spokesperson Assistant Commissioner Paul Nyathi confirmed the incident. “Investigations carried out so far have revealed that the suspect and his wife had a long marital dispute. He was in the habit of assaulting his wife and had since moved out of their matrimonial home,” he said. He said yesterday at around 7am, Pomborokani was seen by a relative entering the house wearing a hood. “A few minutes later, the relative heard the wife screaming calling for help before gunshots were fired. It is suspected that he first shot the wife before turning the gun on his brother-in-law. He fled the scene,” said Asst Comm Nyathi. A report was made to the police. Asst Comm Nyathi urged couples to solve disputes amicably and desist from taking the law into their own hands. “We are, however, still carrying out investigations to ascertain the origins of the pistol with also a view to establish whether it was licensed or not. We also want to establish whether it belonged to the suspect or not,” he said. Investigations carried by The Herald reveal that Pomborokani was arrested in 2016 for kidnapping gospel singer Mathias Mhere. He accused Mhere of having an extra-marital affair with his wife. Pomborokani forced his wife to phone Mhere, inviting him to the couple’s house. When the musician arrived the couple’s house, Pomborokani pointed a firearm at him. He allegedly forced Mhere and his wife to remove their clothes and held them hostage naked for five hours. Pomborokani was arrested and appeared before a Harare magistrate who convicted him. He was fined US$150 or three months in prison. Pomborokani also had two other cases of physical abuse that were reported against him by his wife at Highlands Police Station. The wife, however, later withdrew the cases. He also has another pending case of attempted murder reported by his wife at Highlands Police Station.